It isn’t always eternal summer on the trail, though memories might make us think so. This is a scene along the Panhandle Trail in Collier Township. Winter is my favorite season to paint. I love the subtleties of color and shape with snow in the air and on the ground, and on the trail I am often all alone with the quiet of a winter day, or a gentle snowfall. This painting won in the second highest award category, “Award of Excellence”, in the South Hills Art League Juried Exhibit in autumn 2014. The original is still available and I offer a variety of prints of this painting, as digital, giclee or on canvas. Visit my Etsy shop to see the options and purchasing information. Visit my Etsy shop to see what’s available in my Landscapes and Still Lifes Gallery. I also have an e-newsletter for non-animal art like my landscapes and photography, which I usually deliver seasonally, click here to add your e-mail address. 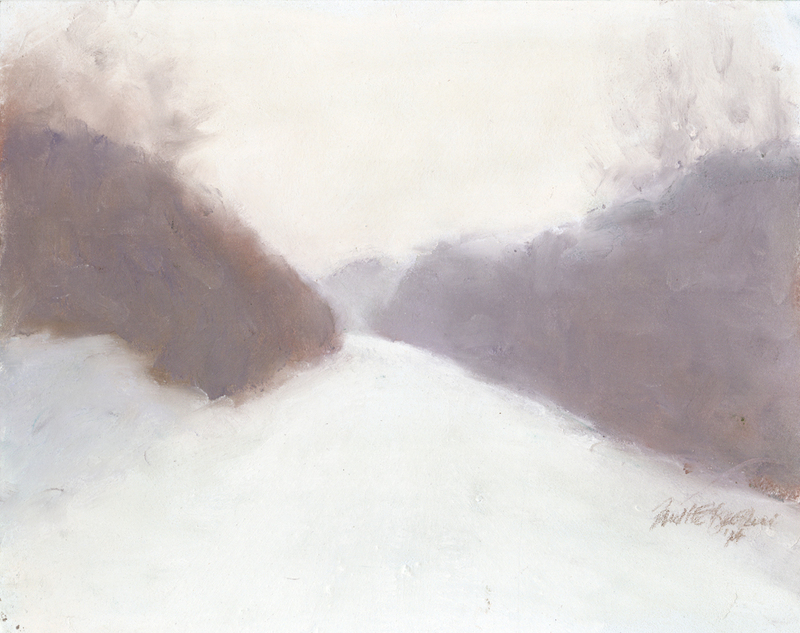 This entry was posted in landscapes, pastel, prints of artwork and tagged digital prints, framed art, giclee prints of pastel painting, landscapes, panhandle trail, pastel painting, snow, winter on January 29, 2015 by Bernadette.